You will often hear us say: Technology can help nonprofits effectively meet their missions. It’s true! But what does this look like inside the organization? The 18th issue of NTEN: Change explores what organizations are doing to be more effective, and the actions that they’re taking to scale up. It is a collection of articles and interviews that look inside the nonprofit to understand the systems, processes, and tools that are in place to ensure success. We also go behind the scenes to get tips from the California Coastkeepers Allianceabout the importance of building partnerships, learn how Splash redefines transparency with technology, receive advice from the Humane Society International on what to consider when planning a global expansion, and TerraCycle demonstrates how to reduce waste and raise funds at the same time. You might notice: The Change journal has changed! As part of NTEN’s overall website redesign, the Change journal is now hosted on the NTEN site. You can scroll through the articles, click on “In this Issue” at the top to navigate back to other sections, and share individual articles. Thanks for reading, and let us know what you think! 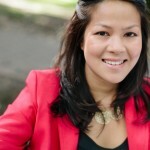 Joleen Ong is the Marketing & Publications Director at NTEN. She is a published writer and researcher on the topic of nonprofit fundraising, communications, marketing, as well as international human rights and labor relations in Asia and Latin America. Follow her on Twitter: @joleendearest. 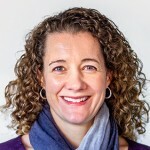 Karen Graham is the executive director of Idealware, an organization that helps nonprofits make smart software decisions by providing research based publications and training. She is also the owner of Smart Girl Consulting and the co-organizer of the Minnesota 501 Tech Club. From the point of view of institutional disaster, responders this is both a blessing and a challenge. 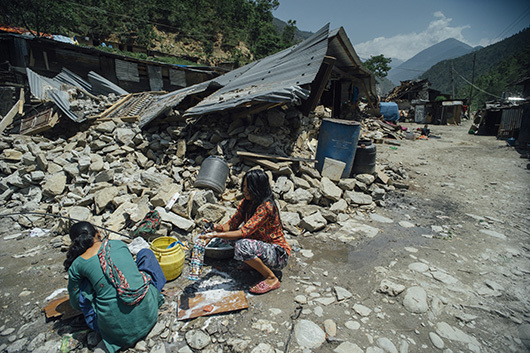 On the one hand, we know that most of the burden to rebuild their lives is borne by the affected people themselves and any tool that facilitates their self-recovery is positive. In fact, the requests for assistance posted and filled through social media can frequently meet the needs of individual households much more precisely than institutional responders. Where most large organizations plan their activities based on typical needs of households in affected areas, social media users typically post and address the concrete needs of distinct households. Timo Luege advises humanitarian organizations in the use of digital technology for communications, advocacy and operations. 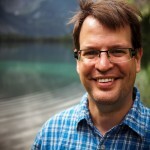 His field missions include Haiti, the Philippines, and Liberia. Timo is based in Germany and writes about his work on Social Media for Good. You can follow him @timolue. Mission: InterfaithFamily empowers people in interfaith relationships — individuals, couples, families and their children — to engage in Jewish life and make Jewish choices, and encourages Jewish communities to welcome them. Mission: BUILD Initiative supports the people who set policies, provide services, and advocate for children birth to age five. Taking a systems approach, BUILD partners with state leaders working in: early learning; health, mental health, and nutrition; and, family support and engagement. 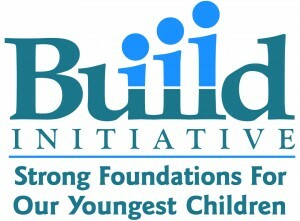 BUILD provides guidance, leadership training, and capacity building. Technology has resulted in the ability to do tasks anywhere, at any time, connecting teams across time zones, regions, and cultures. In this day and age, being physically in the office is no longer a necessity to get the work done. But is it all that it’s cracked up to be? What are some of the challenges and benefits to operating 100% virtual? How can teams stay connected and build a culture of collaboration, even if your colleagues aren’t sitting next to you? We interviewed two nonprofit leaders from organization that operate with 100% virtual teams: Susan Hibbard, Executive Director, BUILD Initiative (BUILD) and Heather Martin, Chief Operating Officer, InterfaithFamily. We asked BUILD and InterfaithFamily to share their experiences, tools they use to stay connected and collaborate, pros and cons of being virtual, and their advice for nonprofits that are considering making this switch. Q: Why did your organization decide to be 100% virtual and/or have a flexible work from home policy in place? BUILD: Being virtual was a natural development and perhaps an outgrowth of being conceived of as an initiative rather than a forever organization. When the Early Childhood Funders Collaborative (ECFC) designed the BUILD Initiative, two consultants from different states served as the “staff.” One had originally been a funder and the other was hired to support the ECFC’s design process. The design called for one full-time staff person and an evaluation partner. Rather than become a 501(c) 3, ECFC sought a fiscal sponsor to manage the grants and finances. By the end of the first year, BUILD was supported by an Executive Director in West Virginia, two consultants—one in New Jersey and one in Maine—an evaluation partner in Iowa, and a fiscal sponsor in Massachusetts. Over time it became clear that BUILD met a need that was ongoing; the time horizon for the work elongated from a five-year estimate to maybe forever. Leaders and advisors have questioned whether BUILD should have its own 501(c)3, rather than the shared services, fiscal sponsor structure, but no one has advocated for creating an office with all the staff co-located. InterfaithFamily: There were two issues that required us to create a flexible work environment. The first was opening up our InterfaithFamily/Your Community (IFF/YC) initiative in 2011. This required us to hire people on the ground in local communities. The second was making sure we had the right people doing the right work. By not limiting ourselves to a geographical area, we have been able to hire excellent staff regardless of their physical location. And within larger metropolitan areas, having a flexible work from home policy allowed us to attract talent that we would not have otherwise. Q: What tools do you use to stay connected? How is your organization structured internally to help facilitate a culture of collaboration? BUILD: The team—staff and key consultants—has weekly staff calls and an additional monthly deeper dive call, usually focused on one or two pieces of project work. Sometimes these are just calls, but increasingly we are using webcams and our webinar capacities. We use ReadyTalk. In addition, subgroups of the team meet weekly. These can be calls as small as two people or sometimes including five or six members of the team, depending on whether it is a project-focused subgroup or more of a check in call between a supervisor and another team member. The team meets in person for 2-3 days at least twice a year. We often use a facilitator to help us plan those retreats and then to facilitate some or all of the time on site. In addition, many staff members attend meetings together, which provide additional opportunities to share information, discuss work, etc. And, all staff attends our annual meeting with state partners. Occasionally, the whole staff or a significant segment of the team will attend a training together. We use Central Desktop to share documents, calendars, and work plans. We also use Dropbox to share documents. InterfaithFamily: Every week, our National Director and the Associate Director of the IFF/YC initiative (both located in Boston) use WebEx to meet with all the directors in the local communities. The entire organization has access to Lync and many one-on-one conversations between employees working from home and in other cities take place using this technology. We have all staff meetings 1-2 times a month using Webex, so that no matter where anyone is working they are able to connect and participate. Cell phones, text, and email are also key. File sharing is done through SharePoint, though the migration and shift in culture around this was challenging. Monthly meetings take place with various national staff (such as with our National Director of Marketing and Communications) and the staff in each community to ensure there is an open line of communication and that everyone is on the same page with various projects. The National Director and Associate Director of the IFF/YC program have weekly Lync meetings with the Directors in each community. We bring the Directors together 3 times a year for 2-day meetings, and annually we have a 2-day all staff retreat. When a new employee is hired, regardless of where they are located, we bring them into the Boston office for an orientation. We have found that while we can create an effective virtual working environment, it’s essential to have a personal connection early on with the people you will be working with on a regular basis. The return on the investment of having a remote employee meet face to face with their colleagues has been key to successful communication for our organization. We also have all employees fill out a communication preferences form, which identifies the best way to contact them, when, etc. This is helpful because there are people who would rather have someone pick up the phone and call them rather than send them an instant message. There are some staff that based on their schedules, are not available for an hour in the afternoon because they have to pick up their kids at school. We even had one staff member tell people to make sure they don’t put smiley faces in their emails to her because it drives her nuts. Knowing these things makes communication with remote employees much more effective. Q: In your opinion, can you share a pro and con about working in an organization that is virtual? Is it something that you think all nonprofits should consider doing? Pro: We are able to hire good people regardless of geography. Con: We do have to work very hard at consciously making sure we remember that there are many people not privy to the “water cooler” conversations that happen and that we can never over communicate information enough. Recruitment: Being able to hire talent without geographic limitations. Staff, consultants, and key subcontractors can all live anywhere, which greatly expands the pool of potential hires. Flexibility: Staff can do some amount of their work (writing, reading, and other solo activities) at whatever hour works best for them. This can facilitate team members’ juggling between work/life demands. Building Relationships: Office camaraderie and conversation at water coolers or over lunch can build up a backdrop of familiarity, trust, and friendship. Virtual organizations need to find other ways to build the trust to minimize miscommunication (easy with email) or inadequate communication (leading to working in silos). Support Staff: It is harder to have support staff for multiple team members when there is no office. Q: For nonprofits that are considering making this shift to having more, or all, staff work remotely, what advice would you give to them? InterfaithFamily: A strong infrastructure needs to be put into place to support those remote employees. Without the proper processes, resources and support in place, managing remote employees can be a drain on the organization. BUILD: Virtual teams do need good communication skills and tools, but most importantly, I think, staff working virtually needs to like and be effective at virtual working. Some people lack the discipline necessary, some find it isolating, others can’t communicate effectively without being able to read faces, and others are too used to having an assistant just inches away. 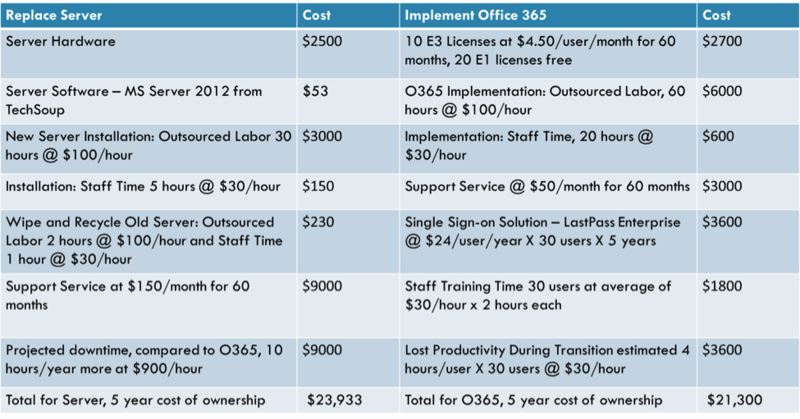 I don’t think it is for everyone or for every organization, but there are many benefits to virtual work, home offices, and virtual organizations, not least of which is the cost savings. Heather Martin is the Chief Operating Officer for InterfaithFamily, a nonprofit organization supporting interfaith couples exploring Jewish life and inclusive Jewish communities. 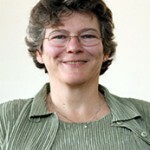 Susan Hibbard has worked for the BUILD Initiative since its launch in 2002. She currently serves as its Executive Director. She lives with her partner in Portland, Maine and is the mother of two rambunctious boys. True story: At Salesforce.com, every new employee is shown the “Chatter” messaging tool and told to set up a profile. If a new user neglects to upload a photo, they will shortly find a comment in their Chatter feed from Marc Benioff, the CEO of Salesforce, saying, simply, “Nice Photo”. That’s the CEO’s way of letting new staff know that use of Chatter is expected, and the CEO uses it, too. 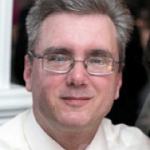 Peter Campbell is currently the CIO at Legal Services Corporation, America’s partner for equal justice. He can be caught blogging on all things nptech at http://techcafeteria.com. The Young Nonprofit Professionals Network (YNPN) was founded in the San Francisco Bay Area in 1997 when a small group of young nonprofit professionals began to commiserate about their shared experience in the sector. These challenges included low wages, little professional development or respect, few opportunities for advancement, and their desire to build more effective and sustainable careers. They soon realized that they weren’t alone in these experiences and sought out other young professionals for support and development. They put up some flyers, made a few phone calls, and organized a meet-up at a local bar. They had high hopes that maybe a dozen people would join them. Instead, more than 100 people showed up that night and eventually, along with several hundred more people, became YNPN’s first chapter. I love the YNPN origin story because it’s illustrative of the larger experience we’ve had as a network over the last 18 years. From our very first event, the growth of YNPN has surpassed our greatest expectations. 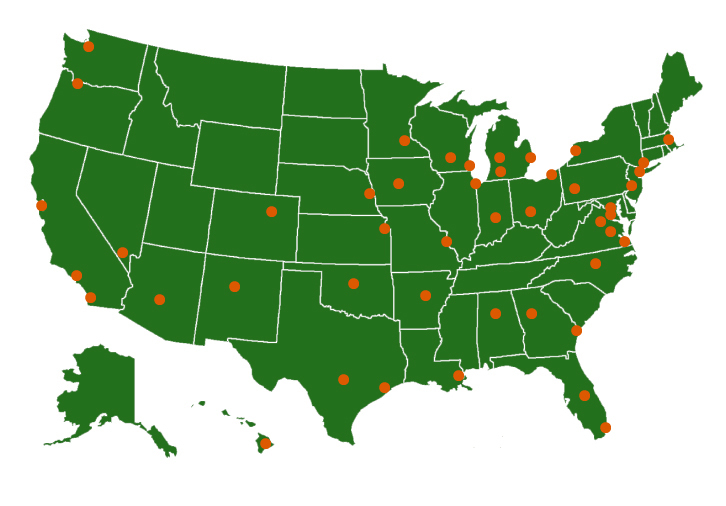 Today, the YNPN network serves more than 50,000 members, with chapters in 42 cities. Between 2011 to 2014 alone the number of YNPN chapters increased by nearly 70%, growing from 25 to 42 chapters. At a time when most membership organizations are facing declining membership, YNPN is growing. We attribute this to the open, grassroots nature of our organization that allows chapters to have the kind of autonomy that provides meaningful leadership and management development opportunities for the young professionals who lead them. We also know that the strong local identity that our structure allows for is an asset to our chapters’ work in their communities. At the same time, our rapid growth created an urgent challenge for our organization. We were struggling to support tens of thousands of members and dozens of chapters with almost no technical infrastructure beyond WordPress, Google Docs, MailChimp, and chewing gum to hold it all together. We knew we needed a data system that our chapters and we could use to manage membership, share information across the network, and measure our impact. We also knew that bringing over 40 technically separate organizations onto the same database would require more than just new software: it would require some important changes to the way our national office and chapters related to each other. Our network had grown beyond the point at which we could sustain it and we knew that we would have to change in order to not only grow, but to survive. So in 2014, we set out to determine how we could improve our technical infrastructure and become more efficient without losing the qualities that have made us a vibrant, thriving network. We started by hiring two data experts who were also chapter leaders in our network. Cary Walski from YNPN Twin Cities and Copilot Web Services, and Jodi Benenson from YNPN Boston and Tufts University, took us through a detailed discovery process. At the national level, we talked with them about budget, scope, and our concerns about how to preserve chapter autonomy. Jodi and Cary also consulted our chapters extensively on the features that would be most useful to their work through a network-wide survey, a committee of more than 20 chapter leaders with data expertise, and a conference session to gather even more feedback in person. After synthesizing this information, Cary and Jodi recommended NationBuilder as a “Goldilocks” solution that gave us enough of the features we were looking for while keeping the costs affordable and providing a structure that allowed our chapters to have separate databases that could be synced with the national database. Before finalizing the decision, we went back to our chapters to see if anyone had experience with NationBuilder in their day job or as a chapter. We found out that several of our chapters were already using or considering NationBuilder, and these chapters have been invaluable partners both before and during implementation. At the same time, we were also working on developing an affiliation model that would address the structural changes that a shared database would require and capitalize on the opportunities it would provide. We called this structure the “Chapter Operating System” because, like a software operating system, it will enable us to use our resources effectively, provide shared services for our network, and be continuously revisited and upgraded as our network grows and evolves. A shared investment from our chapters. There are significant costs to the new infrastructure, but the potential costs of not making this investment were much higher. The national office and local chapters making an ongoing, shared investment in this infrastructure will keep it financially sustainable. Separate legal status and bank accounts for each chapter. We want chapters to have the ability to receive grants and donations, collect payments, and have a structure that allows them to operate autonomously. New, clearer definitions of membership. Each chapter will have the ability to define what membership means for their community and local chapter members will automatically become members of YNPN National. Access to a shared database and content management system (NationBuilder). This system will allow us to aggregate data across the network and help all levels of our organization be more effective in engaging our members. An affiliation agreement that clearly lays out all of the above and what chapters can expect from National, including greater transparency about our operations and increased resources and technical support. Along the way, we also sought extensive feedback from chapters on these structural changes. We began discussing the new affiliation structure with our network six months before the first chapter ever logged onto the database. Over those six months, we hosted four feedback sessions, two NationBuilder demos, and provided a “sandbox site” chapters could use to try out NationBuilder. We also tested the new infrastructure and affiliation requirements with seven chapters who served as critical friends and helped us refine the process for onboarding the rest of the network. This pilot process was invaluable because it gave us the time and space to figure out the nitty-gritty details of bringing chapters onto this new infrastructure before we had to coordinate the transition of the entire network. It also created living proof of concept in the seven chapters who are now able to speak to their experience of the transition and the benefits of having access to our improved infrastructure. It might appear that we’re building the plane as we fly it, and that’s because we are. As an organization, we find it helpful to embrace some of the principles of agile development in order to keep pace with the changes we are experiencing in our network and in the greater environment. Launching the process before we had every single detail finalized was the only way to keep it within a timeframe of two years. As a volunteer-led organization, turnover among chapter board members was an important factor to consider as we decided how to bring the network onto the system. As an organization, we find it helpful to embrace some of the principles of agile development in order to keep pace with the changes we are experiencing in our network and in the greater environment. Our primary motivation, however, was creating the space to co-develop this plan with our chapters. While the development of the infrastructure and affiliation plans happened at the national office, every aspect of the work was presented to chapters for feedback before it was finalized. Our chapters asked great questions and brought valuable expertise to the table that unquestionably made the plans better. Those plans have generally been well-received by the network, and by the end of this summer, half of our chapters will be on our new data system and affiliation structure. We plan to bring the rest of our chapters on by June 2016. So far we’ve found that it is possible to roll out a massive infrastructure project and accompanying affiliation structure while still maintaining openness in the network and autonomy at the local level. As we were researching other affiliation structures, we saw that many were oriented in a punitive way with a thinly veiled threat hanging over the heads of the affiliates: cross us, and we’ll take away your branding. It may sound naive, but we genuinely did not and have not spent a lot of time focusing on what happens if chapters choose not to come on board. Instead we’ve focused our energy on developing a model and a set of tools that people want to access. Key to building something that our chapters wanted to join was devoting a significant amount of time to consulting them. Not only did we hear from our grassroots leaders about what would be feasible and serve their work best, we were also able to utilize their expertise as data scientists, staff members of other affiliated organizations, and a wide range of other skills they bring to our network. This process has also reiterated to us the importance of relationships and good communication. As our network has grown, it has been challenging to maintain close connections with all of our chapters, particularly as a small staff without technical tools that could help us track our outreach. Investing the time in deep engagement around this change as well as our investment in technical tools to facilitate communication will undoubtedly make our next big transition, technical or otherwise, less cumbersome. YNPN’s chapters are it’s most valuable asset and we know that we are stronger together. We obviously have several years of implementation and growing into our new structure before we can pronounce it a success, but we are excited by the possibilities of our new “operating system” and believe it will strengthen, rather than suppress, our grassroots culture. 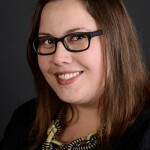 J amie Smith is the Communications & Network Engagement Director for the Young Nonprofit Professionals Network (YNPN). I was not a fan of group projects in school. I usually had a strong sense of how I wanted to approach and execute a presentation or paper, and I lacked the patience and good sense to listen to everyone’s input and move forward in a consensus-driven way. I imagine the feeling was mutual. At the very least, I’m certain none of my classmates who worked with me on group projects would have nominated me to author an article about partnerships. Indeed, the challenges that my organization, California Coastkeeper Alliance (CCKA), must address to fulfill our mission of “swimmable, fishable, drinkable” water for California communities and ecosystems are numerous, diverse, and daunting. In the past month alone, we have faced severe drought, rising sea level impacts to our coast, a ruptured pipeline and oil spill, marijuana growers using and polluting water supplies without regulation, communities running out of drinking water, and rivers that are being sucked dry and unable to support fish. 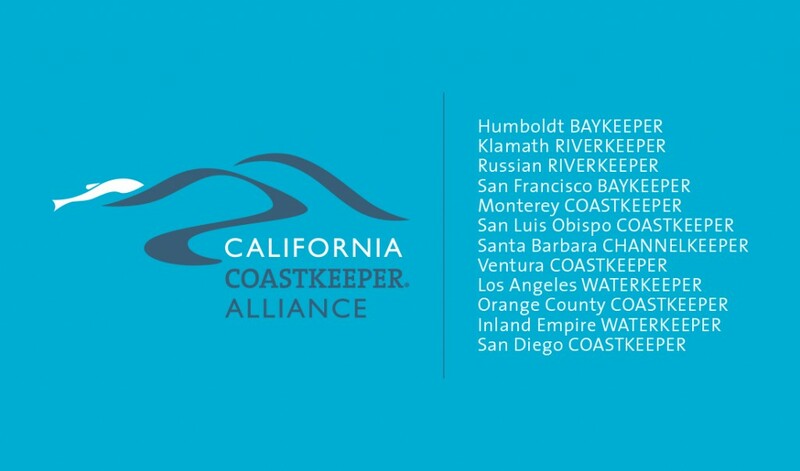 Partnership is at the heart of CCKA, a network of twelve locally-based Waterkeeper organizations, spanning the coast from San Diego to the Oregon border. Each organization works to defend clean water based on the unique needs of their communities and watersheds. In the wild and remote Klamath Basin in Northern California, our Klamath Riverkeeper is primarily focused on restoring flows to the rivers that sustain the fish populations, and in turn the three largest tribes in California. By contrast, the San Diego, Orange County, and Los Angeles areas are densely developed coastlines and communities. The Waterkeepers in those areas work to keep the coast and waters clean and healthy amidst urban populations who generally produce large volumes of trash and polluted runoff. CCKA and its member Waterkeepers work together as a highly effective state-local “place-based” partnership, focused together on the health of California’s waterways. CCKA works at the statewide level to develop programs, policies, and tools to protect water quality and provide sustainable water supplies, while local Waterkeepers mobilize their communities to leverage a grassroots voice for clean water. CCKA and local Waterkeeper organizations continually reinforce each other’s efforts by coordinating resources and pursuing jointly developed water policies that meet the needs of California’s diverse communities and ecosystems. Our structure and work together is adaptive and flexible, which allows us to quickly and effectively respond to unanticipated events. As we’ve seen with California’s unprecedented drought, the focus, scope, and resources dedicated towards core issues can shift on a moment’s (or Governor’s) notice. Building alliances and partnerships is the only way to foster systemic change for water issues in California. In order to deal with challenges of this unprecedented scale and magnitude, we must advance solutions at those same levels. We are also part of a larger movement – an alliance within an alliance. CCKA is a member of the international Waterkeeper Alliance, an environmental movement with more than 250 individual programs across the United States and around the world. The thread that binds us all is an unrelenting focus on defending waters that are clean and healthy, or “swimmable, fishable, drinkable,” the goal of the Clean Water Act. As clean water advocates, we are armed with some powerful legal and science tools to address these challenges. The citizen enforcement provision of the Clean Water Act allows us to step into the shoes of the attorney general and enforce the law against polluting facilities. Our Waterkeepers can monitor water quality, quickly determine if a water is contaminated, and often times identify the source of pollution. The science and law is often on our side, and yet aren’t able to keep pace with well-funded opposition working to rollback and weaken environmental protections, or the urgency of the need and water scarcity crisis that we are facing. This year, we will see more rural communities run out of clean water, and witness rivers, streams and wetlands dry up, leaving fish and wildlife stranded. Climate change forecasts indicate that hotter, drier conditions will become the new normal. Incremental improvements simply aren’t going to cut it. Big problems like the California water crisis demand big solutions. In order to advance big solutions, we need to partner up –and that is where I have invested a lot of my time and energy recently. Over the past two years, I have built two new networks to bolster the efficacy of our Alliance in addressing California’s serious water supply and water quality issues. Both coalitions are in their infancy, so I can only offer perspective on why these groups came together and what I hope we can achieve. The first network is called the California Water Partnership and is comprised of seven organizations that have been deeply involved in efforts to protect California’s waterways, supplies, and communities for decades. Previously, work among Partnership member organizations had generally been limited to actions on specific policies or proceedings. Given the scope of the problems and the nature of their potential solutions, we realized that each organization’s efforts would benefit from a more integrated approach to advocacy, allowing for increased cooperation, coordination, and long-term planning among our groups. Critical to the ultimate success of our Partnership efforts will be the integration of each organization’s core abilities, such as the activation of grassroots bases, policy expertise, or access to key decision makers. Pooling our resources and reaching the public through powerful messaging and grassroots organizing is key to generate the necessary political pressure to counter the influence of industry lobbyists. Ultimately, we need Californians to completely rethink their relationship with water, and demand less of our ecosystems while tapping sustainable, local resources. It’s a tall order, but I think we have built a foundation that makes us all stronger and better poised to tackle the challenges ahead. After two years, we have assembled as a formal coalition with a central hub that supports our ongoing work and is pursuing new proactive initiatives that would not be possible for any one of our groups to undertake on its own. As a cascade of new drought-related reforms, regulations, and funding measures are introduced, we are able to respond in an organized and unified fashion. Our Partnership’s success and longevity will be determined by whether we can articulate and build support for a clear and compelling vision for California’s water future. As clean water and water scarcity issues intensify in California, the business sector is both heavily impacted and is an integral part of the solution. In our fifteen years as a network, CCKA and local Waterkeepers have often partnered with small businesses and well-known corporations, who understand that the health of California’s ocean, coast, bays, and rivers are essential to their bottom line. Seeking to build on this support while deepening the engagement on environmental issues, CCKA formally established a business partnership network with the launch of the Blue Business Council. Inaugurated just last fall, the Blue Business Council is already off to a strong start with 30 forward-thinking companies signed on as founding members, including Patagonia, Clif Bar, and Klean Kanteen. This partnership has served as a critical platform for businesses that share a clean water ethic, and has allowed CCKA to leverage the professional expertise and resources of these businesses to influence water quality policies. Not only does the Blue Business Council highlight how diverse sectors of the economy benefit from sustainable water policies, but also it greatly expands the constituency of environmental defenders. Most recently, this collaboration successfully championed the adoption of a strong, precedent-setting statewide policy that will reduce plastics in the ocean, and stop the flow of trash to California beaches and waters. Trash is accumulating in California’s waters and on its beaches at an alarming rate. Before a few months ago, California had no statewide guidance on how local governments should reduce the amount of trash that flows into its waters. Earlier this year, I had the opportunity to present the Blue Business Council’s first statement to decision makers at the California Water Board as they voted to adopt a new statewide Trash Policy. The statement briefly described why “trash-free waters are good for business,” and was signed by 25 California businesses on the Blue Business Council. The Trash Policy was adopted and set a national precedent. Just a few weeks later, a state legislator introduced a bill attempting to overturn the new Trash Policy. Thanks, in part, to a strong showing of business support, the bill was quickly defeated. As we aim to advance large-scale reforms to ensure clean water, the Council will effectively demonstrate to legislators and regulators that there is a clear economic interest in sustainable water management strategies and policies. For many in the nonprofit realm, working with partners or coalitions is a no brainer. 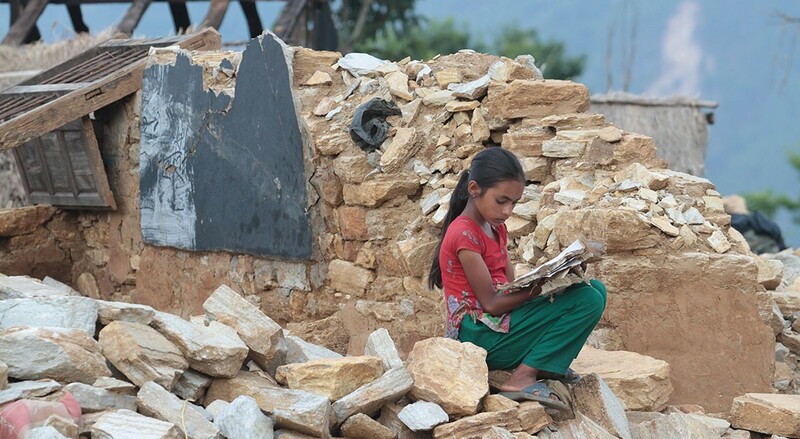 We must make progress on causes that feel important and urgent with extremely limited resources. And oftentimes, you need a number of different groups and interests around the table to develop and execute a workable solution. On the other hand, I have encountered many individuals and organizations that are uncomfortable with partnerships, just like I was with group school projects. Working to advance any cause—civil rights, education, poverty, or the environment, can be a deeply personal pursuit, one that you aren’t willing or able to share freely with colleagues you don’t yet know or trust. And, of course, organizations work hard to define their unique niche and value-add to their networks, including funders, members, media, and decision-makers. Partnerships often require that you relinquish control, branding, and ownership or control over a work product or campaign. Building alliances and partnerships is the only way to foster systemic change for water issues in California. In order to deal with challenges of this unprecedented scale and magnitude, we must advance solutions at those same levels. Despite increasing public awareness and decision-maker interest and dialogue about our state’s water challenges, the complexity and scale of changes needed will make it challenging to implement solutions. Securing California’s water future is a task too immense and too important to leave to any one individual organization or sector. 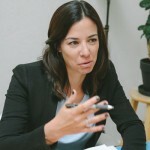 Sara Aminzadeh directs California Coastkeeper Alliance (CCKA) initiatives to protect and defend California’s ocean, bays, and rivers, including CCKA’s new Blue Business Council initiative, and the California Water Partnership, a coalition dedicated to securing a sustainable and equitable water future for California through the adoption and implementation of the principles and practices of integrated water management. Sara developed CCKA’s climate change adaptation program, and recently authored a chapter Rising to the Challenge: California Climate Change Adaptation in the 2014 Oxford University textbook, Climate Change Impacts on Ocean and Coastal Law. Sara holds a B.A. in environmental studies and political science from the University of California, Santa Barbara, and a J.D. from the University of California, Hastings College of the Law. Q: Access to safe water is an issue that impacts so many people in countries around the world. Why is Splash working in the eight countries that it does? Our social justice perspective drives our mission, but the hard choices of where to work are really based on the reality of finite resources and the need to find the best return on investment – in our case, the greatest impact for as many kids as possible. Splash works in cities with the largest concentrations of the poorest urban children with the worst water quality. This philosophy also drives our emphasis on scalability, because we can have a greater impact by achieving 100% coverage in a city like Kolkata, India than if we had spotty coverage throughout the country. Q: Can you share more about Splash’s approach and interventions to create access to safe water? Our core mission is clean water for kids, but our work includes aspects of the entire WASH (water, sanitation and hygiene) sphere. We install high-volume water purification systems in children’s institutions (schools, orphanages, hospitals, and rescue homes) and combine these with hygiene education, 10 years of maintenance, and collaboration with local government and school officials to improve sanitation at the sites where we work. Our system has three distinct elements of filtration: ultrafiltration (0.015 microns), carbon, and ultraviolet light. Splash’s system can filter contaminated water at a rate of 10 gallons per minute, which is truly unique among water NGOs. Q: How do you measure your impact? What does success look like in your organization? Our impact, our successes, and even our mistakes are publicly available on a transparency platform we developed called Proving It. We collect data upfront to establish a baseline, then again upon intervention, post-intervention, and provide ongoing monitoring of behavior change around hygiene, knowledge, and management of school WASH facilities. Our impact, our successes, and even our mistakes are publicly available on a transparency platform we developed called Proving It. Long-term, and aside from individual metrics, our view of success lies in our ability to build or partner with local businesses that will eventually assume responsibility for our safe water projects. Once a handover is complete, Splash will exit each country – leaving 100% coverage of targeted establishments and enabling long-term sustainability. This influences our approach from day 1 in each country where we work, so all of our international offices are completely staffed with local talent, including country directors. Q: Tell us more about the proving.it site where you share your successes and failures. Why did Splash choose to display its work in this manner? As described in a 2012 NTEN article (before we changed our name from A Child’s Right to Splash), Proving.it was developed to do just what the name suggests – to provide photos and data that show the status and results of every site. Anyone can view detailed information for each site (zoom in using a map view or a list), such as photographs, maintenance and monitoring logs, water quality test results, and hygiene training records. The site also includes stories of our occasional failures, and what we learned from them. Ideally our mistakes are few and far between, and we should be making different ones each time, not repeating the same ones! As Splash grows, we’re investigating additional tools to enhance external access to our data even beyond what we already do. Q: Splash has a team that works in eight countries around the world – how does your team stay connected? Our regional program managers are in constant communication with country directors and team members for their regions, and serve as key liaisons back to the rest of the organization. Individual teams (such as the hygiene team, which includes a manager here in Seattle and team members throughout our offices) collaborate regularly through tools like Basecamp and Dropbox. We recently initiated monthly calls among all country directors to share information, enhance collaboration across regions, and as a forum for discussing and gathering input on organization-wide initiatives and processes. In Seattle, our office has an open floor plan to make communication particularly easy. We’re all well within hollering distance (or a skillful throw of a paper airplane)! Q: What tools do you use to stay connected with your team? We use several video, phone, and virtual meeting tools like Skype, Google Hangouts, and Rabbi.it (and a little red phone booth built into our office for this purpose)! Given the necessity of working some odd hours due to time zone differences, we also provide laptops and flexible work hours so that calls can be done from home or other remote locations. In the field, our Monitoring & Evaluation team uses smartphones and tablets to enter data during site visits (often in areas without Internet access), and their updates are uploaded automatically the next time they have an Internet connection. We also use Basecamp and Asana for various types of project management, and Slack for team chat rooms. For email, calendars, and document reference we use Microsoft Office 365, including SharePoint. We also know that every tool, no matter how well designed, consumes some time and energy; and we’re very aware that with technology, you can absolutely have too much of a good thing. Even for something that’s “free” we force ourselves to ruthlessly prioritize! Q: Anything else that you’d like to share that we didn’t ask? One of the challenges in this highly connected, digital era is to avoid the “shiny object” phenomenon of workplace technology. We sometimes find ourselves tempted by a product that does something a little bit better than what we already use, or a tool that just seems really cool (especially if it’s free or comes with a significant nonprofit discount). But we also know that every tool, no matter how well designed, consumes some time and energy; and we’re very aware that with technology, you can absolutely have too much of a good thing. Even for something that’s “free” we force ourselves to ruthlessly prioritize! 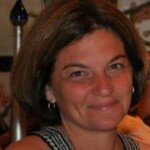 Kathleen Lendvay is Director of Operations at Splash. 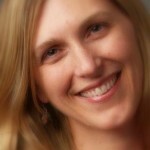 Prior to joining Splash, she spent 18 years in management consulting and technology. 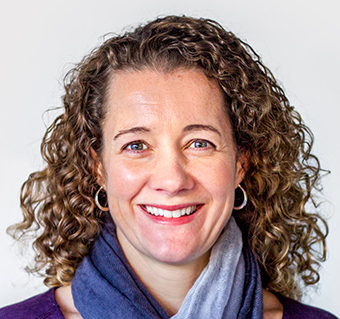 Kathleen particularly enjoys bringing best practices and concepts from a variety of industries to benefit Splash’s mission, and was drawn to Splash’s emphasis on scale and transparency. Her work experience includes executive team and board level strategic planning and facilitation, technology planning and implementation, and organizational effectiveness. As more organizations seek to expand their operations worldwide, it is critical to understand the implications of “going global” in regards to your nonprofit’s online presence: from online fundraising to advocacy, email marketing, and more. In this interview with Polly Shannon, Director of Marketing & Communications for the Humane Society International (HSI), we learn more about HSI’s experience and her advice for nonprofits considering a similar expansion. Q: What is the impetus behind Humane Society International’s global expansion? How were countries determined and how are you assessing that going forward? In 1991, Humane Society International (HSI) was incorporated as a small offshoot of The Humane Society of the United States. With only a handful of staffers at headquarters in Washington, DC, their mission was bold: to work on behalf of animals around the world. To be successful, they engaged like-minded individuals to advocate in their home countries. At the same time, we began building a network of country entities. Only one from them survived from that era – HSI Australia, which opened in 1994 and continues to grow and prosper as a separate entity. With the technical and strategic expertise of our partners at Grassriots, HSI’s donation pages seamlessly accept gifts in multiple currencies. When a currency is selected, the suggested gift amounts will convert to a customized range. In this example, British pounds were selected. Designed to engage people worldwide on global animal concerns and issues specific to animals in their region, HSI’s approach has always been to combine our efforts from both the policy and program fronts. This approach was a driving force behind our growth in world markets. In the late 1990s and early 2000s, we expanded our hands-on program work to include street dog welfare – now a signature campaign for HSI – and disaster response. Also during this time, HSI and The HSUS launched a joint campaign against Canada’s commercial seal slaughter, another signature campaign. With a growing focus on work out of Canada and elsewhere, we established offices in Canada, Costa Rica, and the United Kingdom in the mid 2000’s. We also began to lay the groundwork for affiliates in India and Europe. With the streamlining of management structure, an international strategic plan was developed and implemented to enhance the existing strengths and expertise of HSI. HSI watched as The HSUS launched its online program in 2004. Following Hurricane Katrina in August 2005, their online fundraising exploded. In 2006/2007, HSI launched its global online communications program around the compelling programs of HSI. We built our email file from third party acquisition, chaperoned emails, and organic growth – tell-a-friend and other share mechanisms. With the offices staffed and actively campaigning, we also launched online programs in Canada and the UK to address country-specific campaign needs. Once a country is selected, local giving options are available. In this example, United Kingdom is selected as the country, and payment options include direct debit, a popular giving method in the UK. The Gift Aid option is also offered. Gift Aid is a government program that allows charities to claim the basic rate tax on every pound donated. We continue to revise and refine our strategic vision, and today with fully developed campaigns protecting animals worldwide – from farm animals to animals in research labs, wildlife to companion animals (street dogs, animal rescue), and more – market research and fundraising opportunities are key to expansion plans. And we believe we’re primed for growth and are excited about broadening our international presence. Our organizational focus is in countries where we already operate offices and actively fundraise, specifically the United States, United Kingdom, and Canada, as well as Latin America, Europe, Mexico, and India. This year, we’re investing more in digital than ever before, with an emphasis on acquisition through third party channels, and we’re seeing good results. We also were excited to launch our Spanish-language program within the past year that already has seen an increase of 60 percent in just 10 months, mainly through Spanish-language Facebook posts and advertising. As for most organizations, Facebook continues to play a vital role in our overall strategy because it allows us to target by geography, language, and interests. That’s key to expanding and engaging our international fan base. Our online team didn’t get this far alone; we needed expert advice on technology, strategy, and implementation to help us grow. Our partners have been vital to the process. 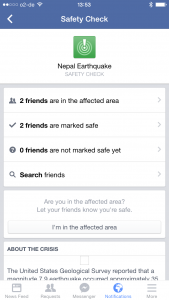 We had to have a technology platform that was right for international fundraising and advocacy. We forged a lasting partnership with Engaging Networks so we can fundraise in multiple currencies and allow our supporters to contact their elected officials directly – wherever they are. Toronto-based Grassriots is the engine behind the success of our online donation pages and action alerts – they’re responsive, easy to use, sharp looking, and high performing to maximize donations and actions. The donation pages are deceivingly simple looking, but complex on the back end to allow a seamless giving experience for our donors in multiple currencies. Our strategy partners at hjc, also Toronto-based, were there with us for the early years to help us develop a comprehensive online program that really set the pace for our growth. As we began to look outside the borders of where we traditionally were focused, they also led the effort through market research that guided us in next steps. Q: Considerations for online fundraising globally – what does it take to accept international donations? 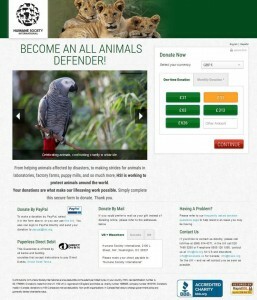 In the online world at HSI, we fundraise globally, with supporters around the world. We’re not restricted by where we’re incorporated, where we’re a registered entity, or where the work is happening. Expanding your donation program internationally has many implications on the design and operation of your forms. Understanding the unique requirements of every new market you enter is a crucial first step, so we look at currencies, languages, payment methods, and more. Once we have answers, we determine which of the available payment gateways supports the currency and payment methods we require, as well as single and recurring transaction types. Our eCRM platform Engaging Networks allows us the flexibility to redirect transactions through a selection of gateways, depending on the user’s location, currency, or preferred method of payment. This simplifies the development of our forms, so we avoid having to create multiple versions per country or currency. Our development partners at Grassriots were able to reduce this to a single form. Are your online donation pages optimized to accept multiple currencies, offer customary payment methods, and tax incentives (when possible)? Can your payment processor handle single and recurring credit card transactions in multiple currencies? Do you offer payment methods like Electronic Funds Transfer, Automated Clearing House, Direct Debit, and other preferred options? Monthly giving is very much the norm outside the U.S., but not using these options and not credit cards. Do you need separate merchant accounts for each legal entity? Is the GiftAid declaration an option for your UK donors? To offer customary options like this, you need to be a registered entity in a particular country with a local bank account. Q: For nonprofit organizations that are considering an international expansion, can you share some key lessons learned? Be willing to invest what it takes, particularly in digital acquisition. Sometimes the break-even point will take longer than you would like, but let long term net and ROI serve as your guide. While patience is a virtue, it’s also a deterrent to getting ahead. Be strategic. Be decisive. If the rewards outweigh the risks, take action. If you have any say in the matter, make sure the right staff is leading the expansion wagon. Regardless, insert yourself where it makes sense, offer advice about what happens through your channels. *This is from our hands-on work of spay/neuter/vaccinate of street dogs around the world; animal rescue from disaster, manmade and natural; interception of trucks smuggling dogs for the dog meat trade in China; that sort of thing. This doesn’t include our policy work to protect wildlife (fighting illegal wildlife trafficking), farm animals (fight factory farming), lab animals (end animal testing). 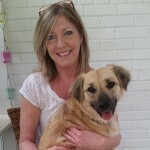 Polly Shannon is director of marketing and communications for the Humane Society International (HSI). She and her team are responsible for online strategy for email, social, web, and marketing, as well as international media relations. Every organization, no matter how eco-conscious, produces waste. Hard to recycle products, such as pens and food wrappers, often go into the landfill waste bin as there are few other options available. What can nonprofits do to be greener about their everyday practices? With capacity and resources spread thin already at nonprofits, how can you make it worth your while? We interviewed Emily Dinan, Senior Account Manager at TerraCycle, a company that was founded to provide free waste collection programs for hard to recycle materials, and turns them into affordable green products. In this interview, we learn more about how nonprofits can work with TerraCycle to turn waste into donations. Q: Tell us about TerraCycle and your role in the organization. Founded in 2001, TerraCycle, Inc., is a world leader in the collection and repurposing of hard-to-recycle post-consumer waste, ranging from used chip bags to coffee capsules to cigarette butts. The waste is collected through free, national, brand-funded platforms called Brigades, as well as various consumer and government-funded models. The collected waste is reused, upcycled, or recycled into a variety of affordable, sustainable consumer products and industrial applications. Each year, across 21 countries, TerraCycle collects and repurposes billions of pieces of waste, donating millions of dollars to schools and charities in the process. TerraCycle is the subject of a new half-hour reality TV show, ‘Human Resources,’ on Pivot TV. Season two airs August 2015. As a Senior Account Manager at TerraCycle, I manage our relationships with the major CPG brands that fund our recycling programs. I serve as the liaison between TerraCycle and the companies whose products produce the waste we are trying to divert from landfills and incinerators. TerraCycle is a unique, creative place to work. It draws a quirky mix of people dedicated to the mission of outsmarting waste. Even though the company is over ten years old and rapidly growing, we still maintain the startup feel with an open office floor plan, graffiti covered walls, and “five minute fit” where the whole office drops down to do pushups throughout the day. 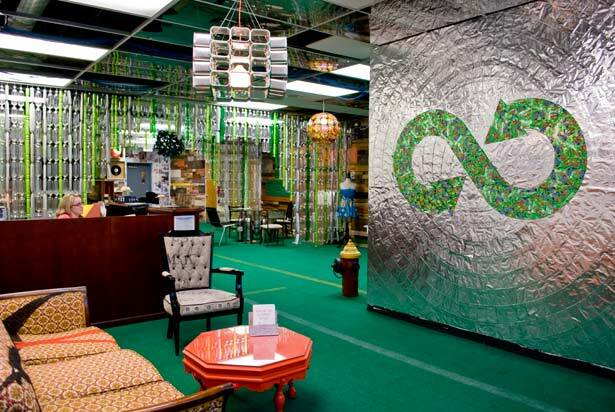 TerraCycle’s offices in Trenton, NJ are made entirely from recycled and re purposed materials. Q: What are some social/environmental practices you have adopted within your organization? How has technology played a role? At TerraCycle, we practice what we preach with a zero waste policy at the office. Everything in our offices, from the carpet to the walls to our computers, is repurposed waste. Our desks are old doors, the walls are made from soda bottles, and the carpet is pieced together from scraps. We have boxes set up in the office to collect over 40 different waste streams. Employees bring in their trash from home to put in the collection bins so the material is recycled. TerraCycle also composts all organic waste. 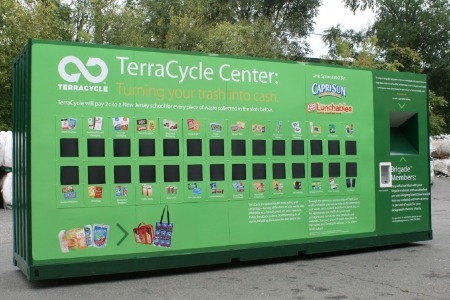 TerraCycle partners with major consumer packaged goods (CPG) companies to make their packaging nationally recyclable. Q: You have more than 40 brigade programs to take care of waste ranging from food packaging to office supplies, can you share more about how this works, and how these programs are set up? TerraCycle’s Brigade programs are free recycling platforms for previously non-recyclable or difficult-to-recycle waste. Individuals, schools, businesses, or community organizations go onto TerraCycle’s website and browse the various waste streams. Once you’ve selected a few to collect, sign up for the Brigade and start collecting the “accepted waste” for that program. Some Brigades, such as the Personal Care and Beauty Brigade, accept a wide variety of items. Others, such as the Cigarette Waste Brigade, accept only a single waste stream. Once you are ready to send the waste to TerraCycle, simply print out a free shipping label from the website and mail it in. We encourage participants to send it in a recycled box. The coolest part is that for each piece of waste you send us, you will be credited TerraCycle points. Those points can be redeemed for a check to the school or nonprofit of your choice. It’s a great way to rethink garbage and fundraise for important causes. Q: When you receive this waste, what happens next? When a box of waste is sent to TerraCycle, it is checked in and weighed at one of our regional check in facilities. The waste is then sorted by material type and aggregated until we reach the critical mass needed to process. From there, about 95% of the material TerraCycle collects is recycled. This process includes shredding the material and then either extrusion or compression molding it into a new product. While a majority of the waste collected is recycled, TerraCycle upcycles some material into funky products like tote bags and pencil cases. A small percent of the collected material is separated for reuse, but this is reserved to electronic waste, paired shoes, and a few other waste streams. Q: How can nonprofits get involved in your work? TerraCycle has a Strategic Partnerships department that is dedicated to partnering with nonprofits. The easiest way for a nonprofit to be involved is to start collecting for a Brigade in your office. Participants in our programs are automatically enrolled in the Points Program. For each qualified piece of waste you send to TerraCycle, we award your account with two TerraCycle points. Those two points can be redeemed for a $0.02 payment to the charity or school of your choice, or you can select from a range of charity gifts, such as providing meals, planting trees, protecting endangered lands, gifting farm animals, or providing fresh drinking water. Nonprofits can also request to be listed as one of the charity gifts on the website, and other TerraCycle participants can choose to allocate their points to support your cause. Q: Can you share any success stories from the points program? TerraCycle frequently highlights top collectors for each Brigade program and the school or charity their collections support. Most TerraCycle points are redeemed for checks to schools. We’ve found that elementary schools use our collection programs as a way to teach about recycling and raise funds for new classroom materials or after-school initiatives. Save Our Shores is a great example of a nonprofit that utilizes the TerraCycle Points Program to raise funds to continue their beach cleanup efforts. Q: What is your advice to nonprofits on how to create sustainable change in their office? We have found that it is all about clear messaging and signage. When I talk to companies about bringing their office to zero waste, the first response is always that people are intimidated or confused. Setting up collection bins that clearly display the acceptable and unacceptable waste easily mitigates this. Keep America Beautiful is doing excellent work with proper labeling and education, particularly the “I want to be recycled” campaign. Therefore, I recommend instituting change slowly and with very clear direction. Changing behavior is incredibly challenging, so make it as easy as possible to encourage participation at the office. 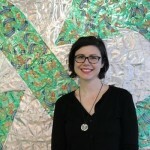 Emily Dinan is a Senior Account Manager on the Client Services team at TerraCycle and serves as the key point person for over thirteen recycling programs.